But, like many a political reporter, Judis focuses more on the messages politicians send out than on the factors that determine how these messages are received. His observations could use a bit less rhetoric and a bit more sociology. Specifically, he neglects one of the main reasons white Americans who lack a college education and make only a modest income now tilt toward Republicans and their right-wing populist talk: Few belong to an institution that counters those opinions. During the campaign, an unemployed Ohio steelworker told The New York Times, “We heard everything was going to change, but there hasn’t been much change and the unemployment is still bad and the area we live in is still really depressed.” Yes, Obama should have made a better attempt to explain to people like this steelworker how the financial crisis occurred and how health care reform will help to create a more decent, as well as more efficient, society. As Judis recognizes, however, a more forceful narrative also would have done nothing to save that man’s job, or find him a new one. But, if that unemployed Ohioan belonged to a vibrant, powerful labor union, he might be able to see himself as a maker of change, instead of its victim—and thus absorb Obama’s message differently. White men and women who do belong to unions are still far more likely to support progressive ideas on a variety of issues and to vote for Democrats than are their non-union counterparts. In 2010, white voters who lack a college degree but do have a union member in their households voted for Obama’s party by 24 percent more than did their non-union counterparts. Of all the social groups essential to a winning Democratic coalition, white working-class people are the only ones who, for the most part, currently lack sturdy institutions that promote progressive ideas and policies. African Americans have their churches, the NAACP, and other groups, both formal and informal. Latinos have organizations, both secular and religious, that defend immigrant rights and push for greater power in the larger society and culture. Middle and upper-class liberals have major universities and friendly media, from the Times, TNR, and The Nation to such websites as The Huffington Post and Daily Kos. Lesbians and gay men have the Human Rights Campaign and the National Gay and Lesbian Task Force. 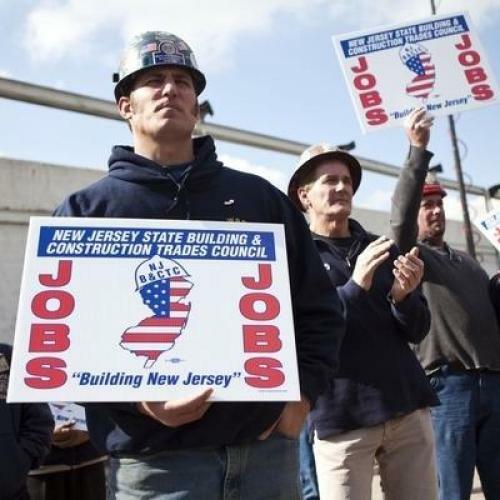 Whether or not organized labor is able to revive in the private sector, white working-class men and women need new institutions that can speak to their discontents and offer compelling alternatives to the politics of anger and nostalgia. Nurturing them is vital not just to defeating conservatives in elections to come. It is vital to the future of progressivism—enabling its politics to convey clearly and passionately what a better country would look like and what it will take to get us there.